Cascade Complete ActionPacs with the grease-fighting power of Dawn; Rinse aid action rinses away residues and leaves dishes with a brilliant shine which means you can skip the prewash and still get a complete clean. Thats because every pac is formulated with the grease-fighting power of Dawn. 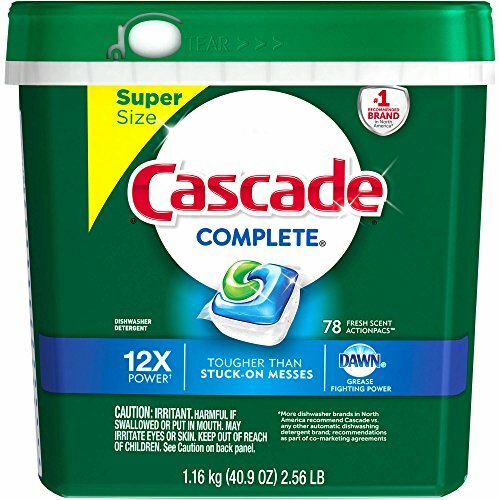 Trust your dishes to Cascade Complete ActionPacs dishwasher detergent - your new shortcut in the kitchen.